So this journal, at this time, offers an opportunity to share knowledge and insights and to resist those threats. 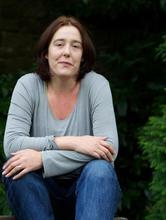 The journal has been organised to reflect the different voices of those working in and living with – gender-based violence. It also seeks to share knowledge across a range of divides. The journal has internationally-based regional editors to encourage the submission of papers from across the world. We welcome submissions from those for whom English is not their first language and will work with those authors to provide a broader platform for that work. Too often the knowledge and expertise of our international and European colleagues is overlooked and we hope to address that. We therefore invite country and region wide networks to contribute to the journal and engage in that very debate. By recognising the broad spectrum of knowledge which is out there, we hope this journal is a place for all of us to take the field further and learn from one another, not just in terms of academic papers, but in relation to policy, practice, and activism. At the heart of the journal is a commitment to social justice and the tackling of gender-based violence within the wider context of inequality and disadvantage. With that in mind we envisage the Policy and Practice and Open Space sections being used to report on campaigns, new interventions, and good practice. We also invite readers to reflect on work which has inspired them and to share with other readers why such works are still important today. We hope this will inspire new researchers to rediscover authors whose work laid the foundations for the current field and to add to current debate. So if you have a book or author whose work you think others should know about, please do consider writing a reflection piece for the Open Space section. Similarly if you wrote something years ago and want to revisit it – please get in touch! Finally, the first issue ends with a piece offering memories of Jill Saward, activist and campaigner. Again, we are proud that this journal can recognise the breadth of knowledge that the field of Gender-Based Violence draws upon, recognising the work of campaigners and the knowledge they contribute. As such, we dedicate this first issue to all those who have experienced Gender-Based Violence, and those who continue to fight for ‘justice’. Register for the Journal newsletter here. Free institutional trials are available for all Policy Press journals. 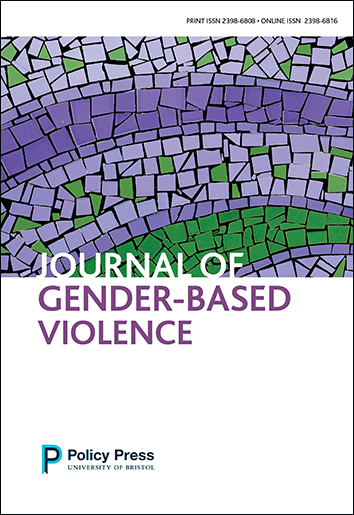 Why not recommend the Journal of Gender-Based Violence to your library?